Looking to add polished effects and transitions to enhance your video productions? proDAD’s Adorage special effects collection is the answer. 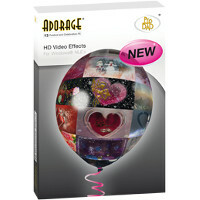 proDAD’s Adorage special effects collection is the answer. With over 17,000 effects and transitions available in 13 different Effects Packages, you’ll have just about every effect you can imagine for Wedding, Sports, Holiday, Love, Travel, and Family themed videos as well as documentaries and even feature productions.